Baker, whose NASCAR career spanned portions of four decades beginning in 1949, had one goal: to win. How he got there, well, that was up to Baker. “He was the perfect example of how a (stock car) driver used to be; the typical Scotch-Irish driver of the past,” said H.A. “Humpy” Wheeler, the former president and general manager of Charlotte Motor Speedway and one-time sportswriter. “If you were in a corner and (it was) someplace he wanted to go, he’d be there. Either you’d be in the wall or he would. Baker’s son, Elzie Wylie “Buddy” Baker Jr., puts it this way. “He was not a bully. He wasn’t out to create problems,” said Baker, who counts the 1980 Daytona 500 and 1972-73 Coca-Cola 600s among 19 NASCAR premier series victories. “But he didn’t run from them either. Buck Baker, who died in 2002 at age 83, is among five being inducted into the NASCAR Hall of Fame on Feb. 8. His fellow members of the class of 2013 – the hall’s fourth class in all – are NASCAR premier series champions Herb Thomas and Rusty Wallace; championship car owner Cotton Owens and innovative engine builder, mechanic and crew chief Leonard Wood. Born in 1919 on a farm near Chester, S.C., Baker as a child gained the nickname “Buck” because he shared the reckless abandon of a bull calf by the same name the family owned. Without job prospects after discharge from the U.S. Navy, Baker hauled alcohol effectively polishing the skills he’d need on the race track. He later drove a bus and – by his son’s estimation – won hundreds of modified stock car races including 27 weeks in a row at Charlotte’s Southern State Fairgrounds. “The same people booing him would line up (for autographs) at the bus stop on Monday,” said Buddy Baker. Racing out of Charlotte, N.C., Baker won his first NASCAR premier series race at Columbia, S.C., a .5-mile dirt track driving a Hudson Hornet. NASCAR Hall of Fame member Lee Petty – a perennial rival – finished second. Baker won the 1953 Southern 500 at Darlington Raceway and posted his first of eight consecutive points finishes among the top five. He won 11 times between 1953-55 then joined the powerhouse Carl Kiekhaefer Chrysler-Dodge organization, for which Tim Flock won the 1955 championship with 18 victories in 39 starts. Kiekhaefer, owner of Mercury Outboards, entered cars in 190 races over two seasons, winning 52 times, before exiting the sport as abruptly as he’d appeared. 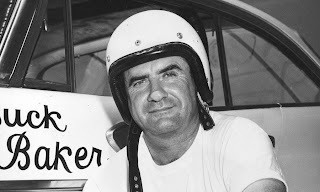 Baker – who’d run second to Flock driving for himself and several other owners in 1955 – hustled Kiekhaefer’s Hemi engine-powered cars to the 1956 title on the strength of 13 wins, 12 poles and 30 top-five and 38 top-10 finishes. With Kiekhaefer gone, Baker returned to Chevrolets in 1957. He won the championship and 10 races: six in his own car and four at the wheel of a Chevy owned by Hugh Babb. Baker finished second to Petty for the 1958 championship and continued to win but at a diminished pace. His final victory came at age 44 in the 1964 Southern 500 driving a Dodge fielded by NASCAR Hall of Fame nominee Ray Fox. Named one of NASCAR’s 50 Greatest Drivers in 1998 – he also won the sanctioning body’s Speedway Division title in 1952, driving an Indianapolis-type car powered by a Cadillac engine – Baker opened a stock car driving school in retirement. According to Buddy Baker, it was his father’s way of giving back to the sport. “He said, ‘I’m not going to race but I have a lot to offer to kids who are just starting out,’” said Baker, who was one of the school’s instructors. Jeff Gordon was among the thousands of Baker’s students. So was NASCAR Nationwide Series champion and current NASCAR Sprint Cup Series driver Joe Nemechek, who asked for and received Baker’s permission to use the driver’s old car number – 87. The younger Baker, who’ll induct his father into the NASCAR Hall of Fame, was renowned for his mastery of Daytona and Talladega. He was the first in NASCAR to officially record a lap at an average speed of 200 mph. Yet Baker still marvels at his father’s talent. Induction ceremonies will take place at 7:30 p.m. ET in the Crown Ball Room at the Charlotte Convention Center, which is directly connected to the NASCAR Hall of Fame. 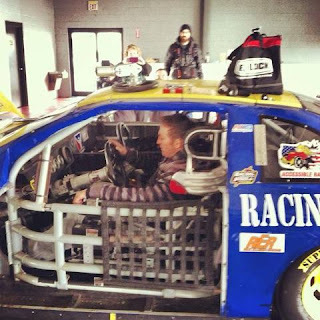 The event is the first half of NASCAR Acceleration Weekend followed on Saturday, Feb. 9 by NASCAR Preview 2013. Tickets for the ceremonies start at $45 (available atwww.nascaracceleration.com) and the NASCAR Hall of Fame box office. In addition, a $20 ticket will gain fans all-day access into NASCAR Preview 2013 and the NASCAR Hall of Fame on Saturday, Feb. 9. Tommy Baldwin Racing made the latest in a series of sponsorships announcements today, introducing SANY America as a major sponsorship partner for 2013. With Dave Blaney at the wheel, SANY America will serve as the primary sponsor on the No. 7 Chevrolet SS for 14 Sprint Cup Series events and associate partner for 22 races, starting with the Subway Fresh Fit 500 at Phoenix International Raceway on March 3rd. The relationship was forged with the help of Al Heinke, owner of Mohawk Construction and co-owner of TBR. Started in 1989 by college roommates, SANY is now the sixth largest industrial equipment company in the world. With global sales of their cranes, concrete pump machinery, excavators, and other heavy-duty equipment, they reported revenues of over $12 billion US in 2012. SANY America opened its doors in Peachtree City, Georgia in 2007 as a division of SANY. All of the units they sell in the United States are designed specifically for the US market, using well known globally produced components, and are backed by an above-industry-standard two-year/4,000 hour warranty. Since opening in the U.S. two years ago, SANY America has sold over 150 cranes to customers across the country through selected dealers. Team owner, Tommy Baldwin, Jr. is excited about opportunities that lie ahead for both companies. "As an organization, we're proud to have brought a new company into NASCAR. Both TBR and SANY America are achieving a milestone together. We're looking forward to being able to show them great benefits that a NASCAR sponsorship can offer." "We're excited to start this venture with Tommy Baldwin Racing and NASCAR," said Kyle Nape, vice president of global sales and marketing at SANY America. "Many of our customers are NASCAR fans, so this partnership is a great way for us to get our name out there. We're looking forward to a great season with a great team." 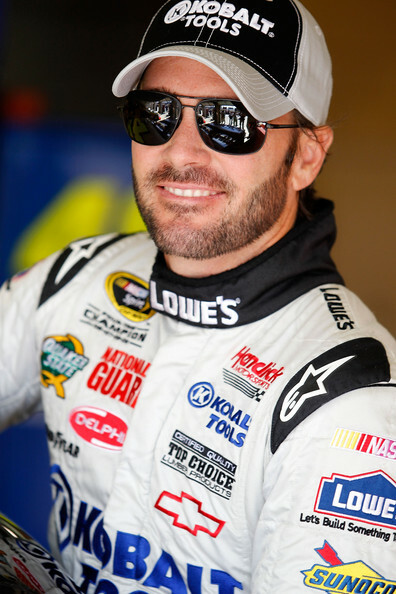 Five-time NASCAR Sprint Cup Series champion Jimmie Johnson will compete in the March 2 NASCAR Nationwide Series race at Phoenix International Raceway for JR Motorsports. JRM general manager Kelley Earnhardt Miller made the announcement today, confirming that Johnson will drive the No. 5 Great Clips Chevrolet in the Dollar General 200 Fueled By Amerigas. This will mark Johnson’s first Nationwide Series race since finishing second in a JR Motorsports car at Watkins Glen International on Aug. 13, 2011. Johnson is a four-time winner at Phoenix in the Sprint Cup Series. Great Clips announced earlier this month that it continue its partnership with JR Motorsports with a 28-race sponsorship agreement. The Phoenix event on March 2 was part of the original 28-race package, with Brad Sweet slated to be at the wheel. With Johnson now filling the seat at Phoenix, Sweet has been added to the June 15 event at Michigan International Speedway, bringing the Great Clips package to 29 races. Kasey Kahne and Sweet will share most of the workload in the No. 5 Chevrolet. Dale Earnhardt Jr. will drive a Great Clips-sponsored No. 88 Chevrolet at Talladega Superspeedway in the Aaron’s 312 on May 4. Bill Romanowski, who played 16 seasons in the NFL, has signed on as a minority-owner of the Swan Racing NASCAR Sprint Cup Series team. The retired NFL star joins forces with first-year team owner Brandon Davis, who is leading Swan into its first full racing season. Romanowski’s health supplement company, Nutrition53, also signed on as a team sponsor and will be the primary sponsor for 10 races on the No. 30 Toyota driven by David Stremme. Nutrition53 will have an associate sponsor position on the car for the other 26 races. “I am thrilled to jump into the NASCAR world as a part owner and as a sponsor,” said Romanowski. "Brandon has a vision for how to build a championship contender and I’m eager to be part of it. “I’m also excited about the integration of Nutrition53 products with NASCAR nation. As Americans attempt to embrace healthier lifestyles, Nutrition53 can help NASCAR fans, drivers, crew and media promote weight loss, memory improvement and rejuvenation through better sleep," said Romanowski. 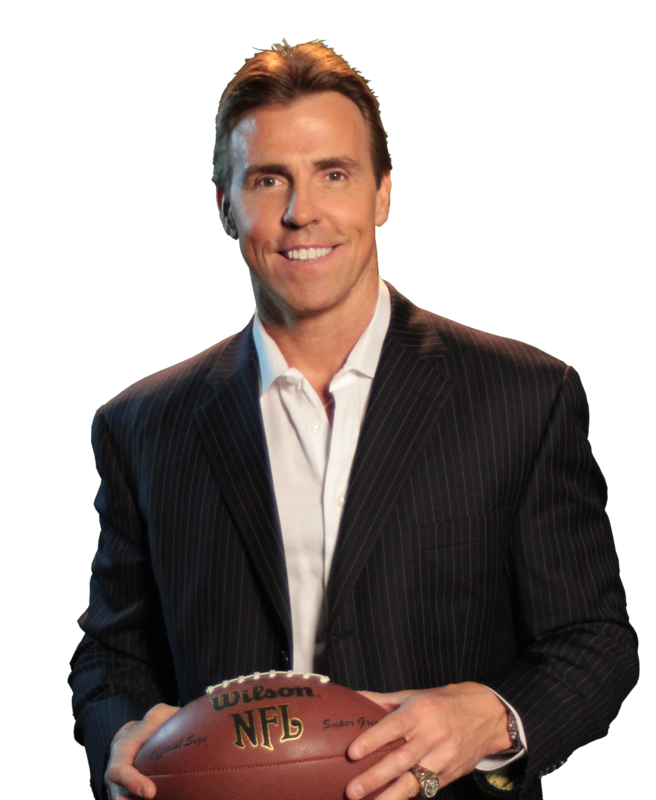 Romanowski started in an astounding 243 consecutive games – highlighted by five Super Bowl appearances as a linebacker – and was selected twice to the Pro Bowl. He played for the San Francisco 49ers from 1988-1993; the Philadelphia Eagles from 1994-1995; the Denver Broncos from 1996-2001; and closed out his career with the Oakland Raiders from 2002-2003. Lean1, a high performance nutrition shake designed to boost healthy, rapid weight loss without hunger. Multi1, a daily performance multi-vitamin that provides a complete range of 24 vitamins and minerals. Neuro1, a mental-performance shake that increases circulation and blood flow for maximum brainpower. Sleep1, a natural sleep aid that makes sleep inviting, easy and rejuvenating. Nutrition53 products can be purchased at over 10,000 retail outlets across the country and at www.nutrition51.com. Lean1 also is available at Smoothie King locations everywhere. Nutition53 will be featured on the No. 30 Toyota as the primary sponsor for 10 Sprint Cup races this season, including Texas Motor Speedway (April 13), Charlotte (May 26 and October 12), Pocono (June 9 and August 4), Sonoma (June 23), Daytona (July 6), New Hampshire (July 14 and September 22), and Atlanta (September 1). “Nutrition53 products will be used by the Swan Racing team to help them compete at a consistently high level for the full length of the grueling NASCAR schedule,” said Romanowski. Eddie Pardue has been named crew chief for the NTS Motorsports No. 14 Chevrolet Silverado driven by Sunoco Rookie of the Year contender, Brennan Newberry on the 2013 NASCAR Camping World Truck Series. Pardue began working in NASCAR in 1993. Before becoming a crew chief, the Virginia-native served as a shock specialist and spotter. With more than 10 years of experience, Pardue brings with him a wealth of knowledge to the young team and will certainly be a valuable asset to Newberry as he tackles his first full-time NCWTS schedule. "I'm extremely motivated going into the 2013 season with Eddie as my crew chief," said Newberry. "He has a successful history of working with young drivers and I believe his personality will mesh well with mine to create the positive chemistry we need to be successful on the track." Pardue began his career as a crew chief in the NASCAR Nationwide Series in 1998. His resume includes three series wins with drivers Greg Biffle and Matt Kenseth, eight pole awards and more than 35 Top-5 finishes. 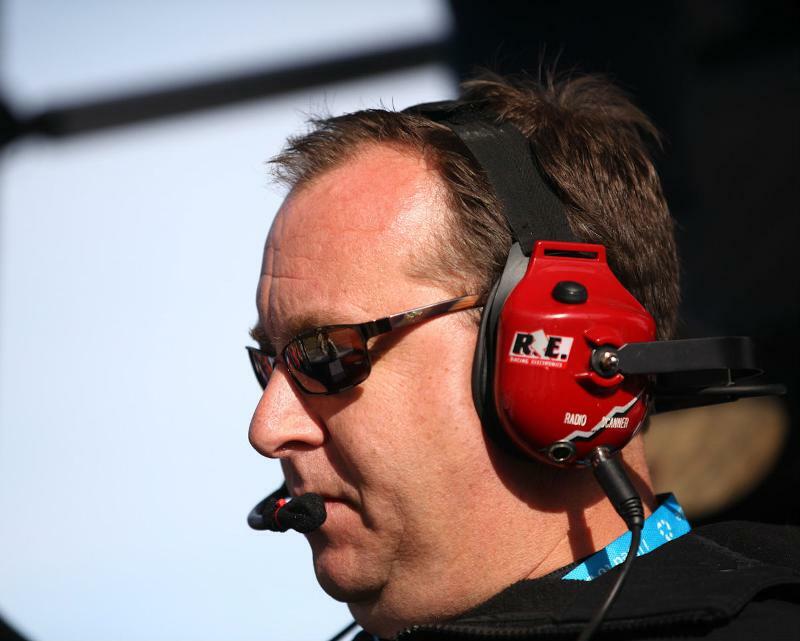 The veteran crew chief has helped sculpt the career of many top drivers in the sport today and hopes to continue that journey with Newberry in 2013. "NTS Motorsports has an incredible amount of support behind it, so I have a ton of confidence going into 2013,” explained Pardue. “Having worked with a lot of talented drivers, I can tell that Brennan and I are going to have a lot of success together." Pardue will make his debut atop the pit box in the NCWTS when the 36-truck field takes the green flag at Daytona International Speedway on Friday, February 22. The NextEra Energy Resource 250 will be televised live on SPEED and broadcast on SIRIUS/XM Radio NASCAR Channel 90 as well as more than 400 Motor Racing Network (MRN) radio stations worldwide. Richard Childress Racing announced today that Hunt Brothers Pizza will serve as primary sponsor of the team’s No. 33 NASCAR Nationwide Series Chevy Camaro in four races in 2013. Kevin Harvick will drive the car at Texas Motor Speedway on April 13, 2013; the first of three races he will run with the team this season. Austin Dillon will drive a Hunt Brothers-backed No. 51 Camaro in one event, as well. The company will serve as an associate sponsor for Richard Childress Racing’s Nationwide Series No. 33, No. 2 and No. 51 Chevrolet teams as well as drivers Ty Dillon, Austin Dillon, Brendan Gaughan, and Kevin Harvick. Hunt Brothers Pizza will continue its partnership with Harvick and RCR’s No. 29 NASCAR Sprint Cup Series team as a season-long associate sponsor. 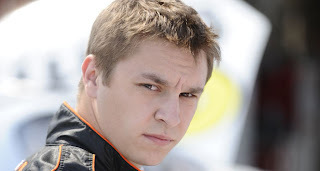 After competing for NASCAR Nationwide Series team Biagi-DenBeste Racing last year at Texas and Homestead Miami Speedways, Kevin Swindell will return to the team for select races in 2013. The team plans to compete in 15 events this season, beginning at Las Vegas Motor Speedway on Saturday, March 9. Swindell, a Sprint Car standout, has been building his stock car experience by competing in the NASCAR Nationwide, NASCAR K&N Pro Series East and the ARCA Racing Series, earning his first NASCAR pole in 2010 and taking home his first stock car win last year at Chicagoland Speedway. The recently crowned four-time consecutive Chili Bowl Champion competed in two of the final three NNS races for Biagi-DenBeste Racing in 2012, earning a best finish of ninth at Texas Motor Speedway. After competing in the NNS in 2002-2006, Biagi-DenBeste Racing returned to the series for select races in 2012. In total, the team has amassed 168 starts, one win, three top-five and 12 top-10 finishes. In addition to bringing back Swindell as the driver, Steve Plattenberger will continue to serve as the Team Manager and Competition Director with Jon Hanson as the crew chief. "We are really proud to have an outstanding young talent like Kevin driving for our team," said Biagi-DenBeste Racing co-owner Fred Biagi. 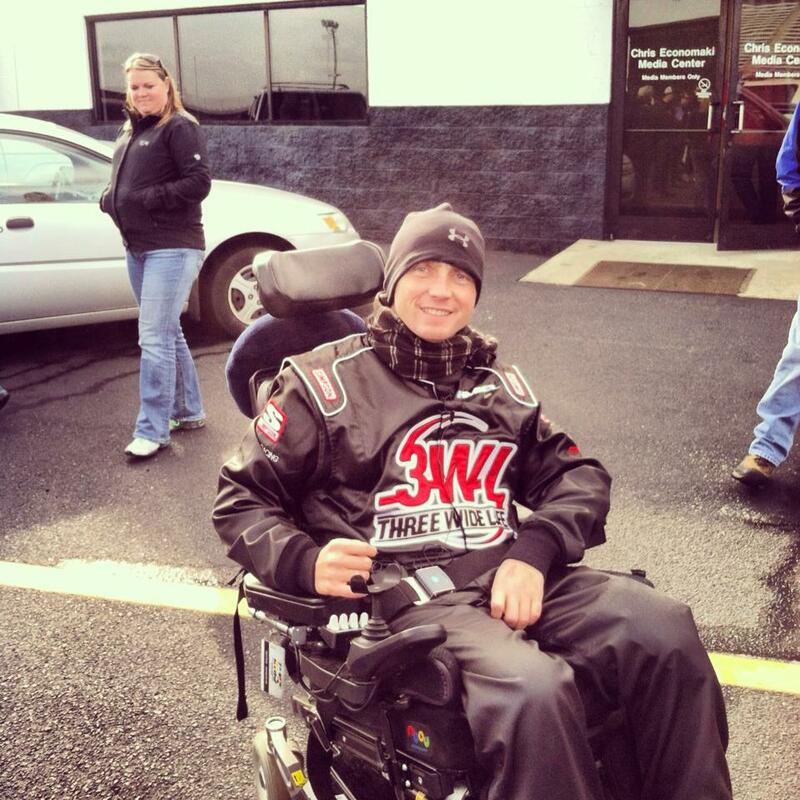 "After coming off of his fourth consecutive Chili Bowl win, Kevin enters the 2013 season with a lot of momentum. We plan to run 15 races in 2013 and are actively working with sponsors and already building for 2014. We want to run every race we compete in at the highest possible level, and we know that we will be able to do that in the 15 events we'll participate in." "I am really thankful to Fred Biagi and Bill DenBeste for the great opportunity that I have to race for them this season," said Swindell. "I have been waiting for a chance to gain experience and race for a top-notch team for a long time. I really enjoyed the two races I competed in for Biagi-DenBeste Racing at the end of last season, and I look forward to seeing what the team and I can achieve together this year." Swindell and the No. 98 Biagi-DenBeste Racing team have selected the Sam's Town 300 at Las Vegas Motor Speedway as their first race for 2013. A full schedule announcement is forthcoming. Roush Fenway Racing and Valvoline have announced the extension of their long-running NASCAR partnership. The relationship, which spans over a decade and a half, will see RFR continue to use Valvoline’s NextGen recycled, re-refined motor oil, which last season helped the team to a win in the famed Daytona 500 and its second consecutive NASCAR Nationwide Series Championship. Valvoline will continue to be the exclusive motor oil provider for Roush Fenway Racing. 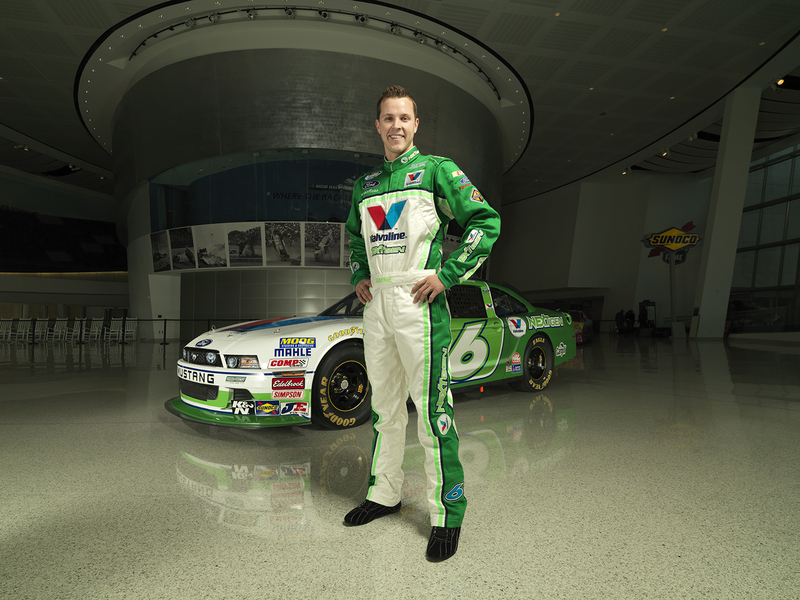 "Valvoline is excited to continue our long standing relationship with Roush Fenway Racing. The history of our two brands is a perfect combination of winning culture, leading technology and great people. We are excited to have such a solid technical and marketing partnership that provides a performance advantage for Roush Fenway and a marketing advantage for Valvoline,” said Rob Clendening, senior brand manager of global brands at Ashland Consumer Markets (Valvoline). Roush Fenway will kick of the 2013 season next month at Daytona Speedweeks, where RFR drivers have won three of the last four Daytona 500s, including last season when after sweeping the pole for the famed event. The offseason may be nearing an end for competitors on the NHRA Mello Yello Drag Racing Series, but veteran Funny Car driver Ron Capps shows no sign of slowing down. 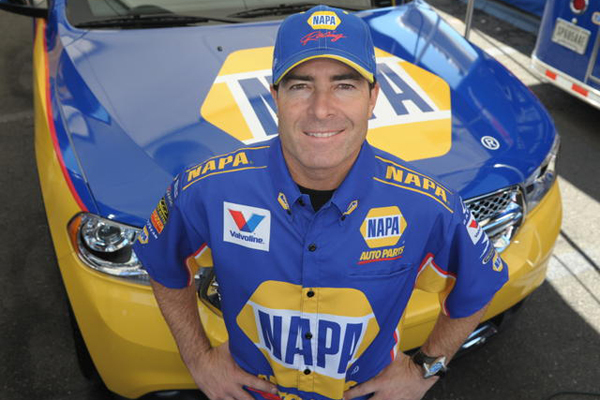 Capps is set make his annual cross-country trip from his home base near San Diego to Portland, Maine, for two days of appearances on behalf of his sponsor, NAPA Auto Parts. He’ll then fly to Atlantic City Friday to host the NAPA Atlantic City Indoor Race for TQ Midgets on Feb. 1-2 at the fabled Boardwalk Hall. Through it all, though, Capps will be looking ahead to Sunday, when he travels to New Orleans in search of more fun than any Mardi Gras party could provide. A lifelong fan of the San Francisco 49ers – Capps will be in attendance at Super Bowl XLVII Sunday, but not in the grandstands or a luxury suite. In fact, the only ones with a better view of the action will be the players, coaches and officials. The driver of Don Schumacher Racing’s NAPA Auto Parts Dodge Charger R/T Funny Car will be working the sidelines for San Francisco radio station KNBR, carrying a parabolic microphone for the flagship station of the 49ers Radio Network. The opportunity arose thanks to his friendship with station-owner Mike Hohler, and Capps was determined to make the best of it. “Just having the Niners being in the Super Bowl is huge,” said Capps. “But to go to my first Super Bowl and be able to work on the sidelines is going to be unbelievable. I’ve been watching Super Bowl coverage this week, and highlights from other Super Bowls show how the sidelines are packed with media, movie stars and athletes. It will be fun working at the game and being that close to the action. Sunday will actually mark Capps’ second stint as a sideline worker at an NFL game. The five-time 2012 NHRA Funny Car winner debuted as a microphone holder when the 49ers beat Arizona, 24-3, near in Monday Night Football action last October, one day after he won the Funny Car title at Las Vegas. In addition to standing close to the action, Capps said his sideline job offers a unique opportunity to eavesdrop on some of the game’s on-field conversations. Even though he makes his living at 320 mph, Capps said there are hazards to the job, as well. No matter what the outcome of Sunday’s game, Capps said he will remain a committed, professional microphone technician. “If the Niners win, I promise I won’t throw the microphone. The guys at KNBR put a lot of trust in me, and I take it very seriously. Pete Rondeau, who has been affiliated with Furniture Row Racing since the 2010 season, has been elevated to the competition director position for the NASCAR Sprint Cup team. Rondeau initially joined the Denver-based Furniture Row Racing as the team’s car chief. He assumed the crew chief role in May 2010 and served in that capacity until July 2012. In his new position as competition director, Rondeau will be the pointperson at the Denver race shop with the building and preparation of the team’s No. 78 Chevrolets which will be driven by former NASCAR champion Kurt Busch. Rondeau will report to Mark McArdle, Furniture Row Racing’s executive director of competition, who also serves as director of racing operations at Richard Childress Racing. Furniture Row Racing and RCR are partners with a technical and engineering alliance. Rondeau is also upbeat about the direction of Furniture Row Racing. A native of New England, Rondeau grew up in Saco, Maine, approximately 90-miles north from New Hampshire Motor Speedway in Loudon. 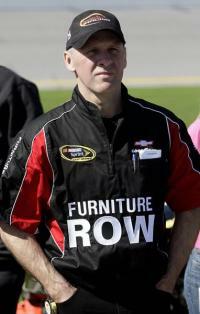 Prior to joining Furniture Row Racing, Rondeau worked at Evernham Motorsports where he served as the team's director of research and development from July 2005 to the end of the 2009 season. He also worked at Dale Earnhardt Inc. (DEI) from 2001 to May 2005 and Jasper Motorsports from 1998-2001. During his three-plus years at DEI, Rondeau's positions included the crew chief role for both Michael Waltrip and Dale Earnhardt Jr.
After a strong second season as a primary sponsor of the No. 12 car in NASCAR Nationwide Series competition, Alliance Truck Parts announced today that it is extending its partnership with Penske Racing. As part of the multi-year extension agreement, Alliance Truck Parts will serve as a primary sponsor of the No. 12 Ford Mustang driven once again this season by Sam Hornish Jr. in the Nationwide Series. Alliance Truck Parts will be a primary sponsor of the No. 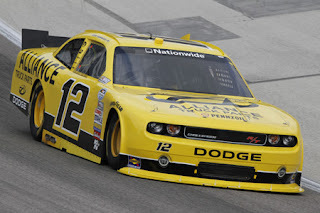 12 entry for 17 races in 2013 and will be an associate sponsor on the car for the balance of the NNS races this season. Alliance Truck Parts came on board as a Penske Racing partner in 2011. Hornish earned his first NASCAR victory racing the distinctive yellow Alliance Truck Parts car as he claimed victory in the NNS race at Phoenix late that season. In 2012, Alliance Truck Parts was the primary sponsor on the No. 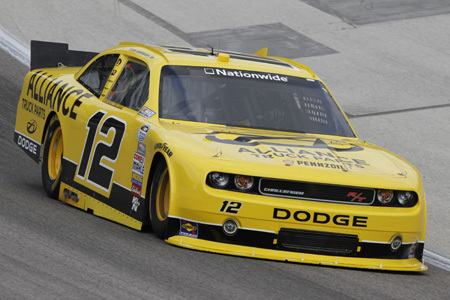 12 machine for the majority of NNS events as Hornish earned 10 top-five results and finished fourth in the series championship. Hornish, the former three-time IndyCar Series champion and the 2006 Indianapolis 500 winner, will continue to be featured in Alliance Truck Parts’ marketing and media activation initiatives. These plans include sweepstakes and promotions, dealer incentive programs as well as the Alliance Truck Parts 250 Nationwide Series race at Michigan International Speedway. 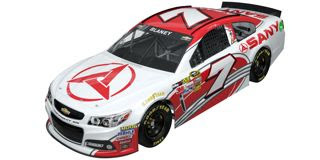 Accell Construction will partner with Tommy Baldwin Racing and the No. 36 Chevrolet SS of JJ Yeley for six races in 2013. This marks the third year of the Oklahoma-based company’s involvement with TBR, serving as a primary sponsor at both events at Phoenix International Raceway, Texas Motor Speedway, and Kansas Speedway. 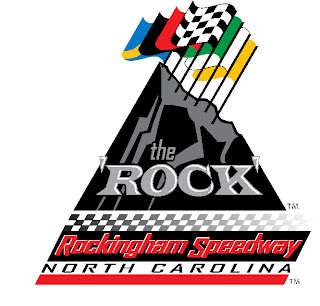 When the NASCAR Camping World Truck Series makes its return to Rockingham (NC) Speedway for the Carolina 200 presented by Cheerwine in April, the field for the second event at the venerable one-mile track will not be set until the morning of the race. Qualifying for the event will be held at 11 a.m. on Sunday, April 14, with the green flag for the 200-lap tilt scheduled to drop at 2:00 p.m.
"Qualifying and racing on the same day gives fans more value for their race ticket," said Rockingham Speedway President Andy Hillenburg. "It also builds some excitement among the drivers and fans if everyone wakes up on Sunday morning not knowing where the trucks will start come 2 o'clock." Last year, in the inaugural NCWTS event, Kasey Kahne and David Reutimann both started at the rear of the field after missing qualifying because they were in Texas the previous day for the NASCAR Sprint Cup race. 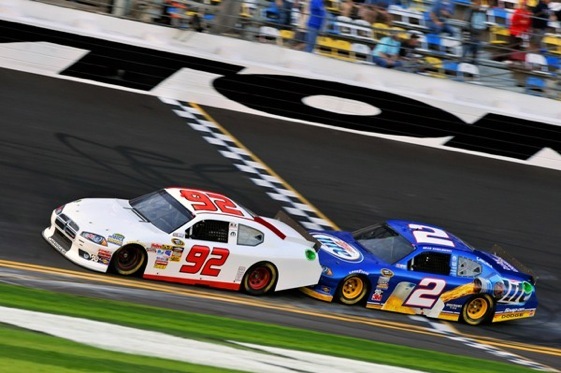 According to NASCAR rules, if a team changes drivers after qualifying, the entry forgoes its qualifying position and must drop to the rear of the field for the start of the race. Kahne went on to win the race, despite his starting position. For this year's event, the trucks will arrive at Rockingham on Friday, April 12 and will practice on Saturday, before Sunday’s time trials and race. The UARA-STARS Late Model Series and the Frank Kimmel Street Stock Nationals will also hold twin laps races on April 13. Tickets, suite packages and camping are now available for the April 12-14 NASCAR Camping World Truck Series Carolina 200 presented by Cheerwine weekend at www.rockinghamspeedway.com or by calling 910.205.8800. General admission tickets for Saturday are $15 in advance ($20 at the gate) and grandstand tickets for Sunday range from $20 to $35. Officials of Rusty Wallace Racing, LLC announced today that the organization will make a return to the NASCAR Nationwide Series, campaigning the No. 66 Ford Mustang in a limited 2013 campaign. At the helm of the No. 66 car will be 25 year-old Steve Wallace. Wallace, a perennial top-ten competitor in NNS competition, scored his third-straight Top-10 finish in Nationwide points in 2011. The same year, Wallace made his NASCAR Sprint Cup Series debut, capturing a lead-lap top-20 finish in the Daytona 500. Backing a portion of the effort will be Charlotte, NC-based mortgage and real estate firm, Richard Tocado Companies. Tocado will serve as primary sponsor of the No. 66 Ford Mustang beginning with the May 2013 NNS event at Charlotte Motor Speedway, with additional events to be named later. Founded in 1999, Richard Tocado Companies has a nationwide network of Realtors and loan officers dedicated to helping race fans save money, and providing them with a great mortgage and real estate experience. 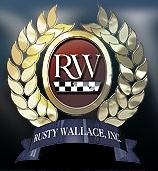 Fans will soon be able to take advantage of a special Rusty Wallace Racing Incentive Program, by visiting the Richard Tocado website at http://www.homewithrichard.com. The site will also include exclusive video content and giveaways featuring Rusty and Steve Wallace. "We're really excited to have the Richard Tocado Companies on board with our team,” said Rusty Wallace. “In this economy, everyone is looking for ways to save money and Richard Tocado has done just that for a lot of folks. We're looking forward to helping race fans have a great mortgage and real estate experience. "We're also excited about getting back to a little bit of racing. I think we all learned a lot over the last year or two and we're looking forward to having the opportunity to show it. Our goal for 2013 is to compete in 10-15 events. We're looking forward to growing our relationship with the Richard Tocado Companies and are very positive about what the future holds." NTS Motorsports has announced the return of Smokey Mountain Herbal Snuff to the No. 9 Chevrolet Silverado driven by four-time NASCAR Camping World Truck Series champion Ron Hornaday, Jr.
Smokey Mountain Herbal Snuff will serve as the primary sponsor on Hornaday's No. 9 machine for 12 events in 2013, in addition to sharing associate sponsorship for the remaining 10 events. The brand will also serve as an associate sponsor for select events on the No. 14 entry of Sunoco Rookie of the Year contender teammate, Brennan Newberry. 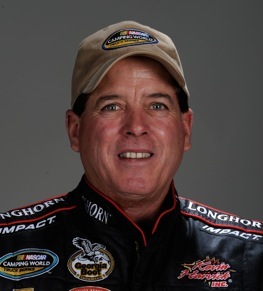 "I'm honored to be able to represent Smokey Mountain Herbal Snuff again for the 2013 season," said Hornaday. "It's clear that Smokey Mountain Chew and NTS Motorsports are young but growing companies, and I look forward to taking both to the front of the field this year, not only on the race track, but in the marketplace." NCWTS events at Daytona International Speedway, Rockingham Speedway, Kansas Speedway, Texas Motor Speedway (June), Iowa Speedway (July), Eldora Speedway, Pocono Raceway, Bristol Motor Speedway, Talladega Superspeedway, Martinsville Speedway, Texas Motor Speedway (November), and Phoenix International Raceway. "Smokey Mountain Chew is proud to be involved in NASCAR, specifically the Camping World Truck Series, for our second season," said Dave Savoca, President of Smokey Mountain Chew. "Ron Hornaday is a true champion on and off the track. He represents the Smokey Mountain brand well, and is a perfect fit for our adult consumer base. Furthermore, we are honored to be associated with the entire NTS Motorsports team, as they are a top-notch organization, and we look forward to following their success on the track this year." In addition to expanding their primary sponsorship package with Hornaday this season, Smokey Mountain Herbal Snuff will debut a new paint scheme exclusively for next month's NextEra Energy Resources 250 at Daytona. Brian (92) and Brad stunned the field in 2011. ﻿ After stepping back last year to study the new engine packages and seek sponsorship to return to the track, Brian Keselowski Motorsports is set to take on another NASCAR Sprint Cup series season in 2013. To that end, Keselowski has partnered with Kelly Owen, a partner in Hamilton Means Racing, to attempt qualifying for next month’s season-opening Daytona 500 at Daytona International Speedway. There is history between the Keselowski family and Hamilton Means Racing. In June of 1994 at Pocono (PA) Raceway, Bob Keselowski – father of Brian and Brad-- made his only NASCAR Cup Series start in a No.52 car owned by Jimmy Means Racing. In 2011, the Keselowski brothers authored the Cinderella Story of Speedweeks 2011, joining forces and drafting from the rear of their 125-mile qualifying race to push Brian's underfinanced entry into the "Great American Race." Brian Keselowski Motorsports has secured a primary sponsor for this year's event, which will be announced shortly. The team will also partner with associate sponsor Highland Wealth Advisors, LLC; a company that works closely with high net-worth individuals to help them accomplish their personal and financial goals. In addition, over 100 Brian Keselowski fans have signed up via social media to have their names on the BKM/HMR No.52 Toyota. Major and associate sponsorship opportunities are still available. For more details and information, contact BKM 's public relations and marketing representative, Jen Calandrillo at Jen.BKMotorsports@gmail.com, or call 704-912-7916. The word “can’t” simply does not apply to Shane Hmiel. The former NASCAR Nationwide Series driver returned to the cockpit of a race car Saturday at Rockingham Speedway, for the first time since a devastating USAC Sprint Car crash at the Terre Haute (IN) Action Track on Oct. 9, 2010, left him a quadriplegic. Doctors initially told Hmiel’s family that he had only a 10-percent chance of survival. He was never expected to walk or breathe again on his own, and was not supposed to move his fingers, arms, toes or feet. The former driver has defied all those predictions, however, regaining some function in all his extremities. Saturday, he proved the naysayers wrong again, guiding a Ford Taurus stock car around the legendary Rockingham Speedway 1.017-mile oval. The outing was organized by Accessible Racing co-founder Brian Hanaford, who suffered a traumatic brain injury as a youth and has devoted much of his life to providing opportunities for brain-injured and paralyzed individuals to sample a piece of so-called “normal life.” Hanaford modified the former ARCA Series racer, making it handicapped accessible and adding zero-resistance electronic throttle and brake controls. The car is also equipped with a complete set of passenger-side controls for an “assistant driver,” who can take control at any time, if needed. “(Former NASCAR Busch North Series champion) Dave Dion was my assistant driver, and he said, `Shane, you do whatever you’re comfortable doing.’ I’m sure he felt like taking over a couple of times, but he never did. “I was more nervous than I thought I’d be,” admitted Hmiel. “I went into it thinking, `whatever happens, happens,’ but the more I thought about it, the more nervous I got. There were a couple of other guys there (to drive the car), and I sure didn’t want to be the slowest. I didn’t want to look like an idiot (by going slow), but I didn’t want to tear the car up, either. Two injured Marines -- Scout Sniper Jesse Fletcher and Lance Corporal Cody Evans – also toured the Rockingham oval Saturday. Both lost their legs to exploding IEDs in Afghanistan, and while neither had a motorsports background prior to Saturday, both emerged from the cockpit with smiles a mile wide. “It was totally new to them,” said Hmiel. “They never even thought about racing before last weekend, but when this opportunity came up, they jumped at it. That’s what excites me about this whole deal. It proves that even after you’re injured, you can still do things you’ve never done before. When they climbed out of that car, their smiles were almost as big as mine. “Racing4Vets and Accessible Racing are great organizations,” said Hmiel afterward. “I hope these deals can grow, so we can give more handicapped people rides, all around the country. “It’s progress, not perfection,” said Hmiel, repeating a mantra he credits with getting him through the toughest times of his life. “Since the day I got hurt, I haven’t once thought realistically that I would get back behind the wheel of a race car. It was a dream, but it wasn’t something I ever thought could be real. Burton: "I Have No Interest In Just Being Here"
More New 2013 NASCAR Paint Schemes! Earnhardt Says "Our Time Is Now"